The dates have now been set for the “Southern” and “Midlands” events which will be held at the following locations in May & June- TRAINING DAY SOUTH- Sunday May 6th 2012, Arborfield Barracks, Nr Reading, Berkshire. TRAINING DAY MIDLANDS- Bank Holiday Monday June 4th 2012, Curborough, Nr Lichfield, Staffordshire. The Vintage Training Days give both VMCC members & non members the opportunity to experience the type of machine that they might not normally get the chance to ride. Owners of 1920s and 1930s hand change machines will be available to give instruction in the art of riding for those willing to brave lever throttle’s and tank mounted gear sticks! 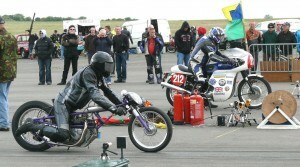 Entry fee is just £37.00 and will give the opportunity of riding at least 10 different Vintage machines. 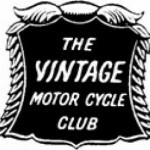 James Hewing, CEO of the VMCC stated “Vintage Training Day is a wonderful opportunity to introduce people to the joys of Vintage Motorcycling and is very much in keeping with the ethos of the Club. In this way we can help to ensure that the oldest machines are learnt about, preserved and most importantly, used by a new generation of motorcyclists. With two training days this year we are appealing for hand change Veteran Motorcycle owners to contact us if they can bring their machine along and help us in this most worthwhile endeavour”. Places are limited and the VMCC advise early booking as no entries are taken on the day due to the events being so oversubscribed. 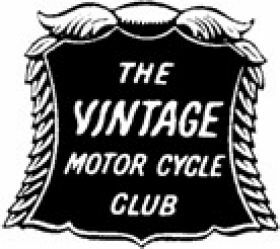 One day membership will be available for Non VMCC members at a cost of £3.00 which will allow them to enjoy the thrills of Vintage Motorcycling. 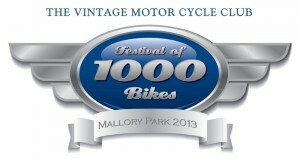 Entry forms are available by contacting VMCC HQ on (01283) 540557 or e-mail events@vmcc.net.